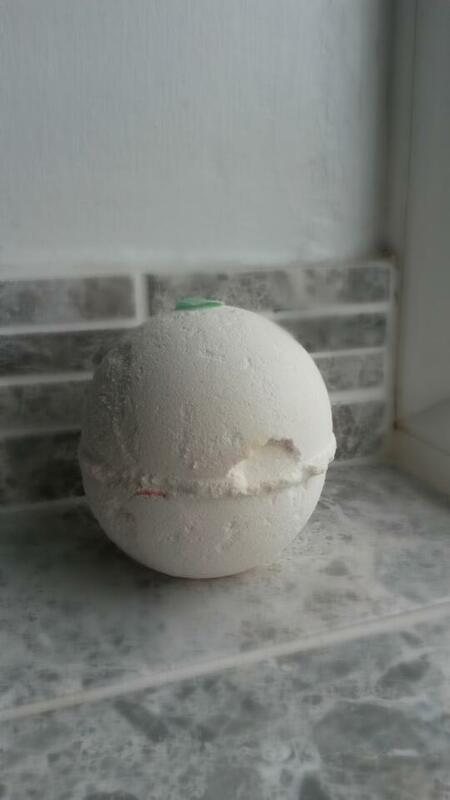 Once again, I have a Lush product to review! 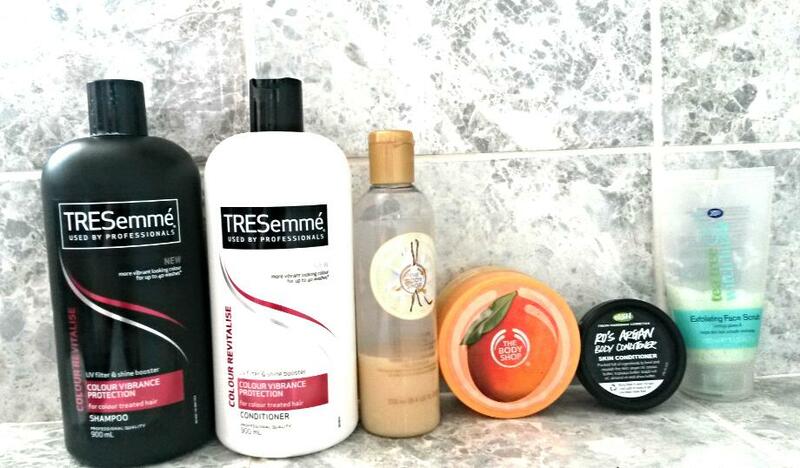 After all the reviews I've done on this blog, you can probably tell by now that I am a fan of Lush haha. 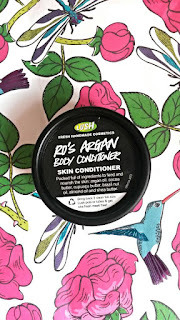 Today I am reviewing Ro's Argan Body Conditioner which is like a hair conditioner, but for your skin! Crazy, right? I got this in a gift set from Lush which I'm pretty sure is a much smaller sample of the big tub of it that you can get in Lush. You can buy 225g worth for £16.50 so it isn't the cheapest of skin conditioners. Anyway, what do you do with it? Well, as the name suggests, it a conditioner, like a hair conditioner, for your skin. It has the same feel and consistency as hair conditioner and feels the exact same when you apply it. You apply it on to wet skin, rub it in then wash it off. Finally, you pat dry the area. I've got to admit, I was intrigued. I always forget to apply moisturiser after having a bath or shower so to find out I can use this one in the shower I was excited. 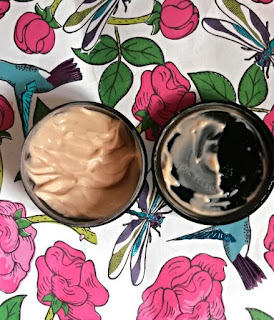 This product is full of butters and oils such as cocoa and shea butter to moisturise the skin and argan oil, which is thought to have anti-ageing properties. You can definitely tell the product has butters in it. For one, you can feel it when you smooth it in to your skin. Two, in a weird way, you can kind of smell the butter! What I like about this product is how quickly it rubs in to the skin. It doesn't linger on top of your skin but instead moisturises straight in. I like how quickly it makes moisturising and I particularly like to use it on my legs after I have shaved them. When I get out of the shower my skin then feels lovely and smooth- just what you want! The only downside is that I feel you need to use quite a bit of the product to cover the area you want to moisturise. Because it sinks into your skin so quickly you can only spread the product over a small area of skin before it sinks in so then you have to go and get more. This isn't one of those products where a little goes a long way so I can see how it would be better to have a bigger pot of this conditioner. Overall I like this product. I like the concept of it being a conditioner, it makes moisturising quick, it sinks in quickly and is great to use after shaving. My only fault is that you have to use a lot of the product at a time so it may not last very long. Plus I don't think I would buy it afterwards for what I see as a steep price for a conditioner! Have you used this before? Let me know! Yesterday I went out down town with my boyfriend. It was a really warm and sunny day so we did a bit of shopping (I had birthday presents to buy) and had a nice cold pint in a pub garden. It was lush. 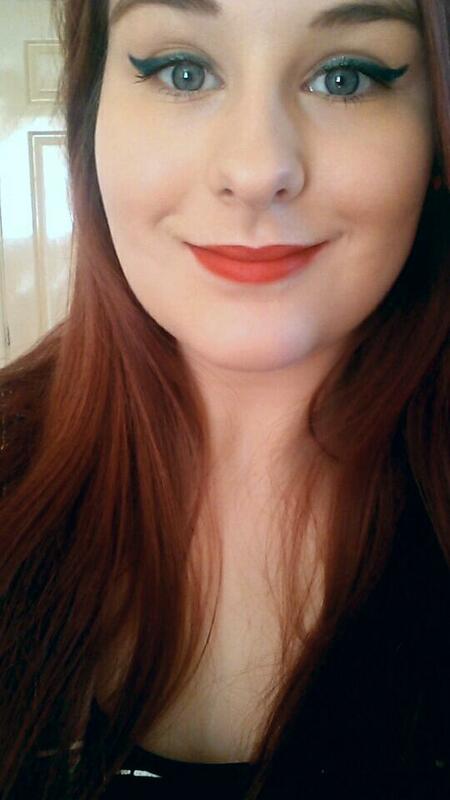 So anyway, I'll show you below what make up I wore. Please note the majority of these products I have reviewed so if you want to see my review on them, please click the product names. 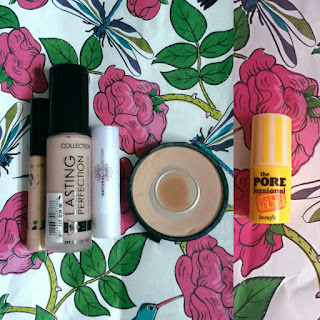 Base: Benefit the POREfessional: License to Blot Sample, Natural Collection Green Stick Corrector, Collection Lasting Perfection Foundation, Collection Lasting Perfection Concealer, Collection Lasting Perfection Powder. 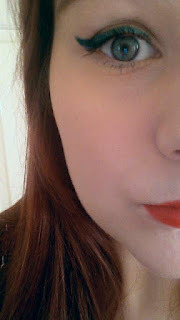 Eyes: Benefit Gimme Brow, Zoeva Graphic Eyes+ 'Good Karma' Eyeliner, Max Factor Falsh Lash Effect 24 Hour Mascara (bottom lashes), Rimmel Scandaleyes Lycra Flex Mascara (top lashes). Lips: Revlon Colorburst Matte Balm 'Shameless'. As for brushes, which I forgot to include, I used my trusty Real Techniques Expert Face Brush and my Seventeen Cheeks Brush. And that's it! I really liked this make up look and it made me feel a bit like a mermaid to match my silver glittery nails and top with an anchor on. Do you use any of these make up items? Let me know! I have the most liberating news to tell you. I am finally on my gap year! You have no idea how long I have been waiting to be able to say that. I have been waiting for this moment for a long time now as sixth form was honestly the most stressful time of my life so far. I feel so free now. I am not weighed down by exams, my sixth form and feeling like I don't fit in. Instead I now feel free to enjoy all my hobbies that I had to put on hold, and to relax and just remember who I am again. I am so looking forward to getting back into reading and my tap dancing again. I just feel like I've spent so much time being serious, studying like crazy and feeling like I don't fit in that I need the break to be me again- before I go off to University! I am planning to get a job as soon as possible so I can save up money to do some travelling next year with my friends. Nothing is for definite yet apart from my 'girls' holiday in September but there is travelling definitely in the talks. In regards to my blog, I will be able to give it a lot more attention now and put more effort in to now I don't have essays to do. 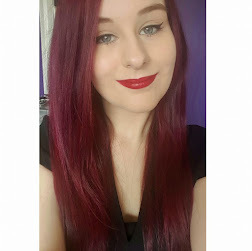 I really want to make this blog a great place for myself and for others- so watch this space! Whatever you're doing right now that is getting you down and stressing you out, you can do it. Know that there is light at the end of the tunnel and you have it in you to get through all of this! This is my first post since my break...it feels good to be back here again! 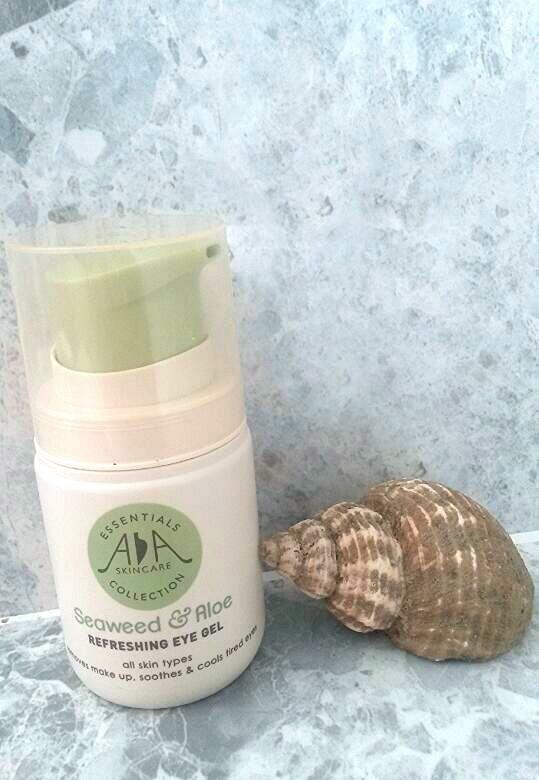 This is a review on the Amphora Aromatics Seaweed & Aloe Refreshing Eye Gel. It is an eye gel designed for all skin types, claiming to remove make up, soothe and cool tired eyes. It is paraben free and uses pure essential oils and herbal extracts. Aloe vera is a great anti-inflammatory whilst the seaweed is rich in minerals. Knowing that the product is natural was a great incentive for me to try it out. I had been wanting an eye gel or cream for ages so I was really pleased when I received this. To use this product, I would pump a little bit of the clear, slightly tinted green gel on to my fingertip and massage it into my eyes. I like how the gel is in the form of a pump as it makes it really easy to use and doesn't make a mess. Furthermore, you don't need too much of the gel on your eyes so a little goes a long way (which is always great). When I first started using this I was a little apprehensive because the skin around my eyes is VERY sensitive and I've been known to have plenty of allergic reactions on my eyelids. However, this product did NOT give me an allergic reaction- so I can certainly vouch for this being great for sensitive skin! What struck me at first about this gel is that it quickly absorbs into the skin and doesn't linger, which is fantastic if you're putting it on before you do your make up. At first it stays kind of sticky, but after about 30 seconds it fully absorbs in to your skin. What is interesting about this is that you can feel it make your eye area more and more moisturised. At first it will feel soft, but over time it feels more and more soft- the softest and smoothest the skin around my eyes has ever felt actually! 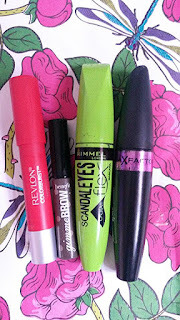 Additionally, it is absolutely amazing for removing eye make up: particularly mascara. I tried using it on a cotton pad but I didn't really get along with it and instead found I much preferred putting it on to my fingertip then massaging it in to my eyelashes and eyelid. It quickly takes all your mascara off of your eyelashes on to your under eye area so it is then easy to swipe away with a cotton pad. I usually struggle with removing mascara and always end up pulling out eye lashes. However, with this I could remove all of it at once, have no mascara left over and not have any eyelashes pulled out. They feel soft too. What a bonus! Finally, I have also discovered that I really like to use it when my eyes are super tired. I've been trying this out during exams where I've been going to bed at 1 AM and waking up at 5:30 AM. This gel has been a life saviour for me by making my eyes feel more awake and refreshing them when all my eyes want to do is be closed and not studying! I also had a day when my eyes were swollen and puffy from having a bit of a cry from stress of exams. This gel was also lovely for cooling down the puffy-ness. In conclusion, I am really fond of this eye gel. I've decided I like to use it in the morning before I apply make up, on my eyes when I am removing make up and at night time before I go to bed. I like how soft it makes my eyes and the cooling sensation it has so I will definitely continue to use it. Furthermore I also think it will be even greater when the weather starts to get a bit warmer because of how calming it is on your skin. The pump can be turned to lock and stop the gel coming out so I will probably take this on holiday with me when I go as well. You can buy the Seaweed & Aloe Refreshing Eye Gel for £6.95 at www.amphora-aromatics.com. What's your favourite eye gel or eye cream? Let me know! This product was kindly sent to me by Amphora Aromatics. However, all opinions are 100% my own and I would NEVER lie about liking a product. 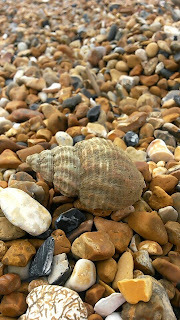 Just a quick announcement to say I will be taking a break from this blog from today (the 11th June) until the 19th June. 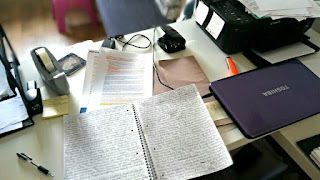 This is because next week I have 4 exams so I will not have any time to upload my usual 3 blog posts a week. I have already had 1 exam and just have these 4 to go! After I finish my exams I will be on a gap year, so I will have an entire year and few months to put a lot more effort and time in to my blog than I have ever had before. So watch this space! I did an exam yesterday so to relax afterwards I had a nice bath with one of my Lush products, and this is the one I chose. 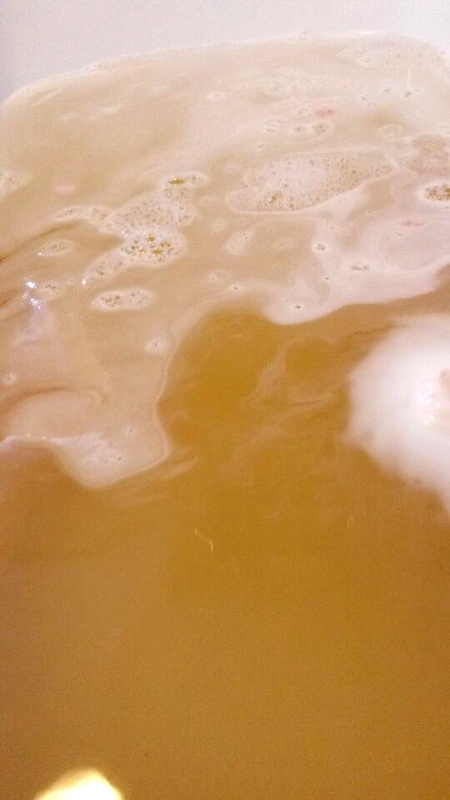 Dragon Egg is a citrus-y bath bomb with invigorating lemon oil and citric acid in it. However, you wouldn't expect this as Dragon Egg is a white bath bomb with discs of colour in it. Just like you might expect from a dragon hatching, it is a slow fizzer that is extremely frothy and makes no noise when it is fizzing. It moves slowly around the bath whilst leaving a white foam around it which leaves your skin feeling quite soft. First of all it starts spilling out yellow which has a low level amount of golden lustre (like glitter) in it sparkling away. You then see the discs of the random colours floating about which are made out of rice paper which turn to a jelly like consistency later on in the bath. After that you are then greeted by the sound of popping candy which you can't see, only hear! I didn't know popping candy was in it so that was a real surprise. In the end, you're left with a golden coloured bath with white froth which I can only describe as looking like you're swimming in beer! The colour admittedly may not appeal to everyone but I like it. I was a bit worried about the golden lustre in it because I hate when bath bombs have so much that it sticks to your skin and the bath and makes it a pain to clean after. However, I found there was no residue on my skin and I only had to clean a little bit out of the bath tub afterwards. This is definitely one of those bath bombs that is full of surprises. It isn't like a fireworks show like some of the bath bombs, but it is a fun one to watch and fizzes really slowly so it is entertaining for a while. Overall I like this bath bomb and would use it again or buy as a present. It is £3.35 which I think is quite good. Have you used Dragon Egg before? Let me know! 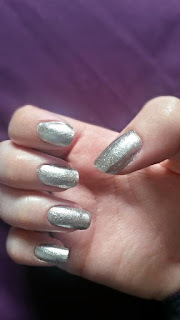 I thought I would share with you guys what I have got on my nails right now. I wanted something simple and to use a product I knew had long lasting power so I would have less chips to spend time filling in. This is because I've got exams coming up so I don't want to have to spend time sorting out my nails when I need to revise. So what did I think of for long lasting staying power and a limited amount of chipping? Essie of course! 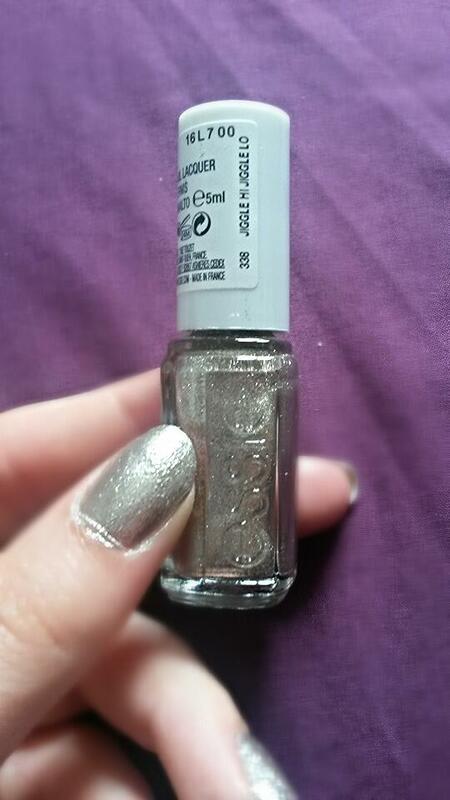 The world-famous, brilliant Essie. I picked 'Jiggle Hi Jiggle Lo' which I got in a free Winter collection for Essie at Christmas. I love this shiny silver colour that catches the light and stands out. What I like is that because it reflects the light so much it gives the effect of glitter without the difficulty of removing it later. What do you think? What's your favourite Essie nail polish? Let me know! 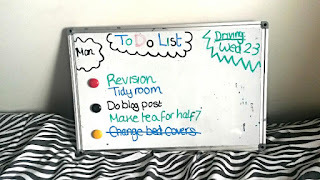 A bit of a different post for me today...I wanted to show you one of my favourite ways of being organised- and that is through the use of a whiteboard! I have had a whiteboard in my room for about a year now. I am really big on making visual lists and organising everything I need to do in a visual way so my mind feels a little less cluttered. In addition I love to see my list get smaller and smaller and get great satisfaction out of ticking things off a list because they make me feel like I have achieved something...it is the little things in life. You can use whiteboards for various things. 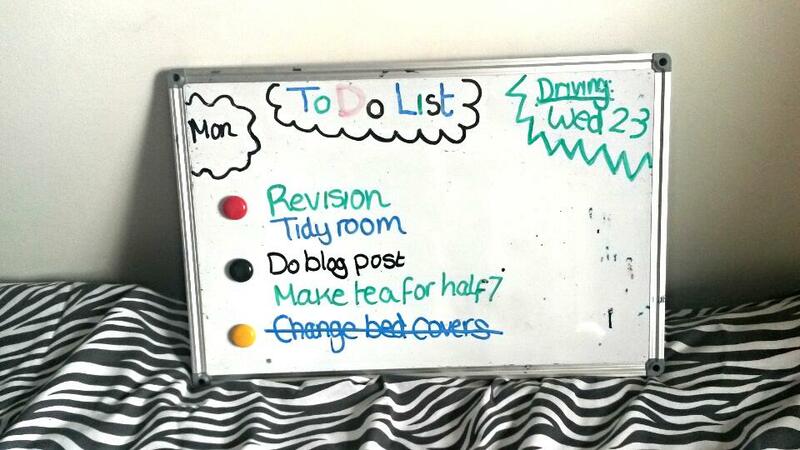 As you can see in the picture, at the moment I am using my whiteboard to create a 'To Do List' for each day. In the left hand corner I will write what day it is and then list off things I need to do underneath. My whiteboard also has magnets that came with it which I use as bullet points. You can also see that in the right hand corner I write down when my next driving lesson will be and what time it will be. When I've achieved something I will cross it off on my whiteboard- as you can see I have already changed my bed covers today! I like to make my lists colourful as well to make tasks seem a little less boring. But you can also use it for other things. When I was in sixth form I used it to put down what homework I had to do and used the magnets to bullet point each subject. I would then cross off a homework if I had done it. Another way to use it is for work. When I had a Christmas job I used the whiteboard to put down what days and hours I'd be working. I created a big table on it with columns for days, times and hours in total. I would then cross off each shift after I had done it. For now it is working great for me as a To Do List. I have exams coming up so it is useful for me to write down a To Do List in a time where I need to be most organised. I have been meaning to, since I got the whiteboard, hang it up on my wall but I keep forgetting to do it so at the moment I perch the whiteboard up against a chest of drawers. You can get a whiteboard cheap in loads of places. Mine was from Hobbycraft which is a craft store in the UK but I have seen whiteboards in supermarkets such as Tesco so I would just suggest checking out your local supermarket or craft store. Of course, you can always find them online on Amazon. You can also find whiteboard pens pretty much anywhere. Mine came with a whiteboard rubber, a little shelf thing to put the pens and whiteboard rubber on and bits to add to the back of the whiteboard so you can hang it up on a wall. Now I can cross off 'Do blog post'! What do you think? What other ways do you use to stay organised? Let me know!